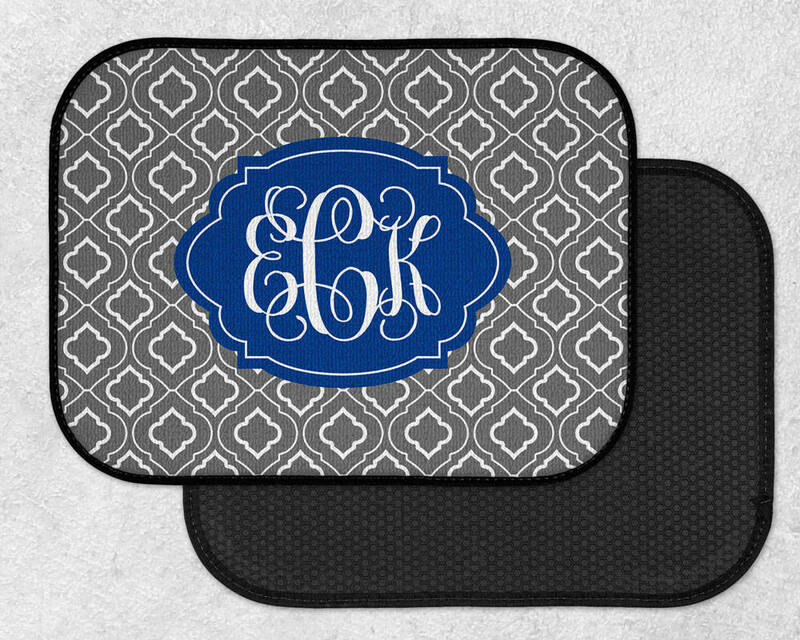 Ride in style with our personalized car mats! 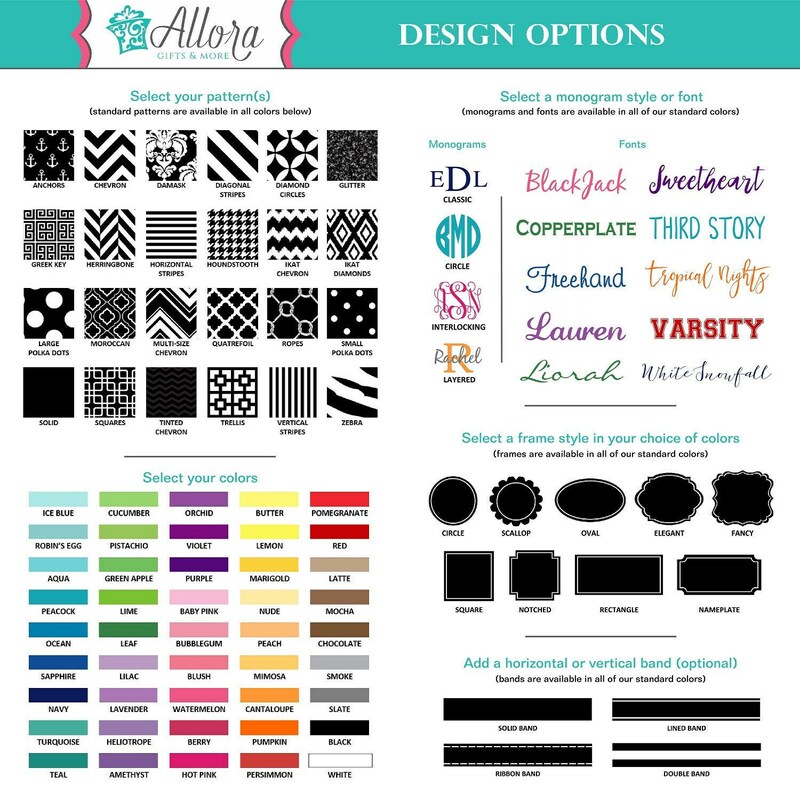 Pick your patterns, colors, and fonts for a completely customized look. Made of a durable 20 oz. loop polyester carpeting face, with sturdy non-skid Durgan backing. 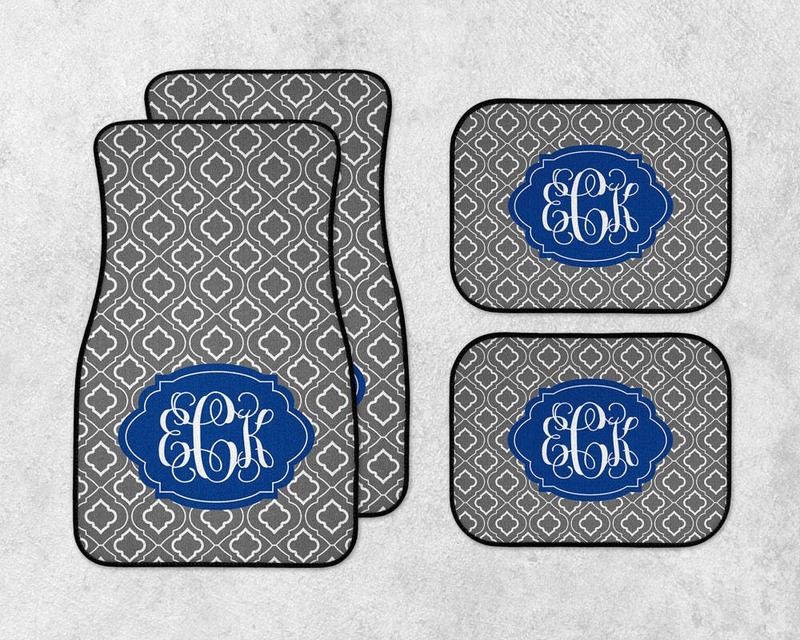 Front Mats (Set of 2) - 27" x 17"
Rear Mats (Set of 2) - 17" x 13"
When placing your order, please provide the following info in the note to seller box at checkout. Design options can be seen in the listing pictures. 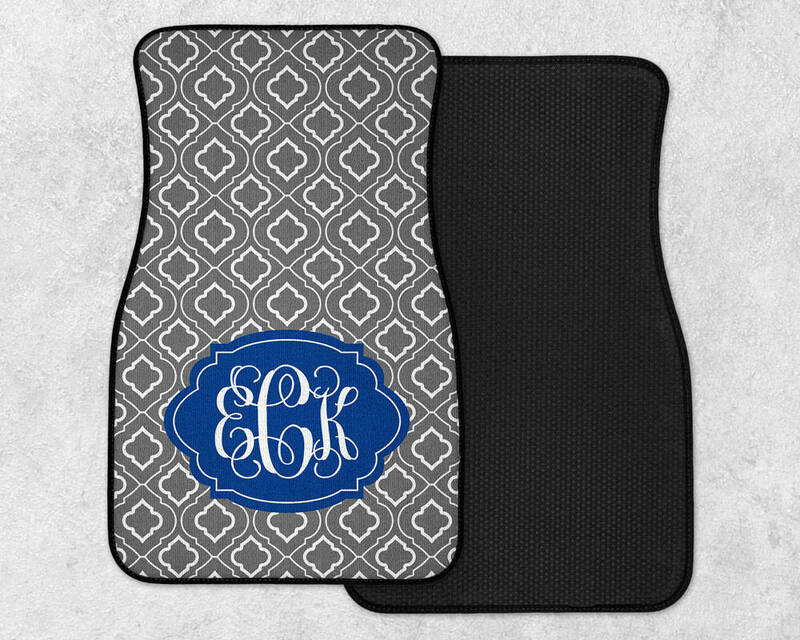 If you would like the design made as pictured, please indicate that and include name or initials.